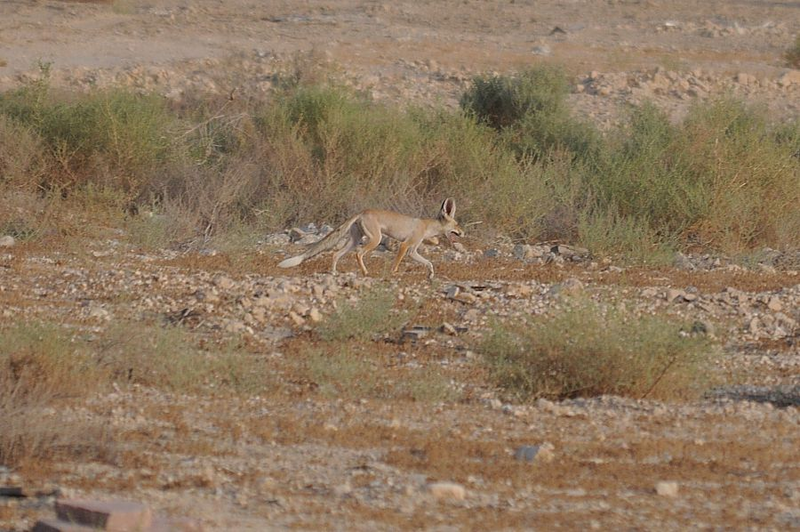 An Arabian Red Fox was seen this evening between the spray fields and the Percolation pond. I managed to get a quick photograph of it before it disappeared. They are seen quite regularly on the camp but I have not seen one for a month or so, so this was a pleasant surprise. More information on this species can be found under the Wildlife tab at the top of the page.